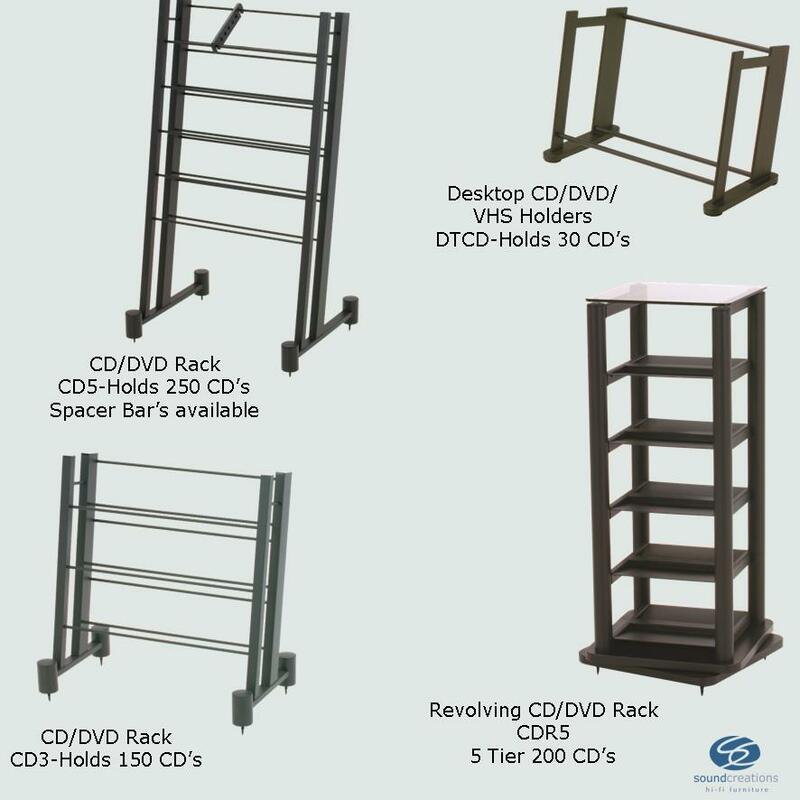 Desktop, Freestanding and Revolving CD and DVD storage solutions. 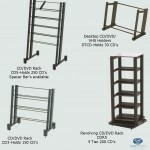 Revolving unit is five tier. Other units available in varying sizes, with space bars available for support.